No time to walk Fido? We’re on it! Hectic schedules and busy days can mean your dog walks fall to the bottom of the to-do list. Keep your dogs exercise front and center with the dog walking services of Waggy Walkys. Whether it’s a jaunt around the block, a backyard game of fetch or a quick potty break for a senior or pup, we’ll customize a visit to suit your dog’s needs. Treat your puppy to the play he deserves; start now! Waggy Walkys dog walking service is available 7 days per week! Group & private sessions are always available. Waggy Walkys LLC is the safest dog walking company in the DC Metro area! We require all staff to wear safety leash lanyards on all walks. Your pet’s safety is always our Number 1 Priority! Many dog owners grapple with the question of whether or not to hire a dog walker or to utilize dog walking services. In the majority of cases, the answer is YES! Why? 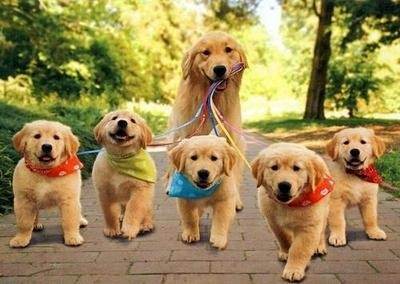 First and foremost, utilizing a dog walking service to relieve your pet once, twice or even three times a day helps put your mind at ease so you can focus on your busy day and know that your beloved pet is comfortable and well cared for. Dogs, like humans, are social creatures, and crave interaction and stimulation. Even a quick walk around the block provides a welcome break in your dog’s day during which he or she can enjoy the fresh air and sunshine along with the sights, sounds and smells of the neighborhood. In addition to providing potty breaks and exercise, a visit from your daily dog walker can be an important second set of eyes on your pet. Often times, dog walkers are the first to notice that your dog might be sick or in distress and they can help make sure your pet gets the care he or she needs. Contact Waggy Walkys today to Get Started using our dog walking services. Our responsible and reliable pet loving staff is here for you and your pet. *To qualify for Regular walks you must be signed up for at least 2 walks a week. *New client promotional pricing does not apply to existing clients. Dog Walking Services by Waggy Walkys LLC.